There's a rather huge cybercafe in Takadanobaba called Jiyu Kukan, jiqoo.jp, which is rather hard to discover unless someone has introduced you to the place. Each Jiyu seems to have computers for internet, computers for video games, billiards, and dart boards. Finally found a cosplay event in Tokyo that I happen to be here for. 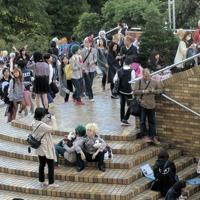 A lot of people already know about Comiket and Anime Japan, but for the first time I found an event that seems to be all about cosplay cosplay cosplay. I'm very excited for the upcoming Con Alt Delete. CAD is a great way to end the year every year, and has really changed the holiday season for a lot of people by adding COSPLAY and FUN to all the stress of shopping and gift giving. We were proud to have a fun and exciting weekend in Omaha, Nebraska at Kanpai. Con. 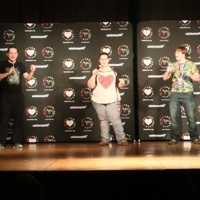 We had hundreds of anime fans join us for the first ever "AnimeCon.org":http://animecon.org convention in Nebraska, and we hope to do it again. Charles Brotman has announced at every Presidential inaugural parade since Eisenhower in 1957, and expected to do so once again this year. Until he was fired by Trump in an email. “I looked at my email, then I got the shock of my life,” he told reporters. 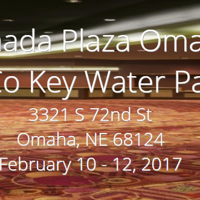 Kanpai.Con in Omaha is coming up this February and it's promising to be a pretty fun time. Held in a convenient location near both Omaha, Council Bluffs, Lincoln, and all of the western Iowa and eastern Nebraska, we're happy to expect anime fans from across the region. Hello, Nebraska. For years, five or more of our top staff have been natives of Omaha, Nebraska, traveling across the country to all of our conventions. And yet, we still hadn’t organized a convention in their hometown. 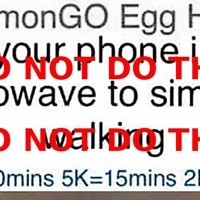 Pokemon Go players: there are hundreds of rumors going around lately about Pokemon Go, and I'm here to help share which ones are bad and which are good. *Eevee evolutions can't be guessed. * There are countless posts claiming that having a certain move will determine what your Eevee evolves into. This year's Anime Midwest took place in Rosemont, IL from July 8-10, 2016. We shared a city and convention center with another convention. I addressed the fact that there was another convention back in May of 2016, taking note that we would be hiring a significant amount of extra security as a result.